So you actually made it to part 4! If you’re new to this series, know that there are 3 other posts preceding this! Of course you already know that. But if you haven’t, go read those short posts now. Today will be the last post for the “set up” of what will follow. Thus far we’ve been building a foundation for your spiritual formation journey. So let’s begin with the heart! Heart? Yup! It’s crucial in understanding spiritual formation – in my opinion, your mileage may vary. So if you’ve ever wondered why scripture talks so much about the heart – you were spot on in questioning. The heart in scripture played a much different role to early followers than we do today. Perhaps this is why the heart is mentioned so much when God is encouraging us to focus on Him. Maybe that’s why we’re told to guard our heart. It’s important. So our journey into spiritual formation will be one of head and heart. If you want to go REALLY deep into a word study on the heart in scripture then check it out here. As we move along, know that there are no hierarchical steps to take when it comes to spiritual formation. So when we begin to discuss the spiritual disciplines, view them as tools in your spiritual formation toolbox. While all will be helpful, some may work better for you than others. But also understand those that are hard may be the ones you’ll eventually come to love – if you practice it long enough to embrace it. So as we move forward, you may want to reconsider some you’ve tried in the past but discarded. If you’ve never practiced any, it’s OK! I’ll soon be teaching you! OK, I know I’ve probably left you in a fog but stay with me as move forward. The road we’re about to travel could become a game changer, one that you’ll embrace for a lifetime – stay tuned! So you found your way to part 3 – that’s good! I hope that means you’ve read part one and two. If not I want to encourage you to do that now. As we continue our journey together we’ll explore various ways to grow spiritually through an intentional spiritual formation path. Years ago I had the opportunity to hike in the Smoky Mountains, specifically Mt. Laconte. I always chose the Rainbow Falls trail head as my starting point. In reality I could have chosen a multitude of trails as they all went to the Lodge which as my chosen destination. The same can be said with spiritual formation. There are many ways to grow spiritually and not all will resonate with you – at first. Some practices will be foreign to you, other will old friends while some will be those that frustrated you so much in the past that you’ve written them off! Let me insert a bias disclaimer in my writing and approach to spiritual formation… I believe there is only one way to God the father and that is through his Son, Jesus the Christ. I believe in a triune God – God the Father, Jesus the son, and the Holy Spirit – three in one. So to try to read anything else into this series would be in error. Nor do I subscribe to all of any author’s body of work or thoughts that I may quote. I see many authors thoughts and body of work like an old school album or CD. There are usually several excellent songs in between some that you just don’t care for. So as I encourage you to read with this in mind – agree or disagree. Try not to throw the baby out with the bathwater. While there are many historical ways to spiritual formation, traditionally it has been approached through spiritual disciplines. That’s the approach I will take for the most part throughout this series. Those disciplines vary from person to person. Henri Nouwen really parked on 5 -Reflection, Lectio Divina, Silence, Community, and Service. The Inward Disciplines – Meditation, Prayer, Fasting and Study. The Outward Disciplines – Simplicity, Solitude, Submission and Service. The Corporate Disciplines – Confession, Worship, Guidance, and Celebration. In my next post we’ll explore the importance of the heart in spiritual formation and the importance of the “heart” in the bible. The heart was once viewed in a very different way than it’s viewed today. We’ll then explore the spiritual discipline of prayer and a method of prayer that many have never heard of. Until then, here is what you need to do. Try setting a time that you pray each day. You choose when that happens but stick to that time. Pray about anything, just stick to that time. We’re on our way! So where are you on your spiritual formation journey? Are you just exploring? Are you in process and interested in knowing more? Have you tried it before and became frustrated? Are you serious? Are you willing to put in the time? Are you sure what it actually means? A cursory Google search will render multiple ideas on what spiritual formation is and looks like… So I want to express my biases on how this series will proceed… I will approach this topic with a heavy slant from a Wesleyan tradition, as I am Methodist. In addition to that, I also approach my spirituality from a more conservative slant. So as we proceed, agree or disagree with this series or parts of it, because the Wesleyan tradition is big on tolerance. Take what’s useful and feel free to question and explore further what you believe is not. In this post I will provide a working definition of spiritual formation so that we can all work from the same blueprint. I will approach this in a systematic way through scripture, personal experiences, thoughts from John Wesley in the Wesleyan tradition, and other authors and theologians. Scripture – we always go to God’s word first to see what it has to say. Tradition – we value the early church traditions that consisted of many councils throughout history that debated Christian doctrines. So we believe that if something has withstood the test of time through these councils, then they should carry some weight. It’s not the end all of end all’s but certainly must be considered. and 4. Reason and Experience – We believe that God gave us a mind that we have the ability to reason – think. So we’re open to, “what do you think about this?” We are also big on, “what has been you experience?” Your live experiences also have value. 17 By “the Lord” what I mean is the Spirit, and in any heart where the Spirit of the Lord is present, there is liberty. 18 Now all of us, with our faces unveiled, reflect the glory of the Lord as if we are mirrors; and so we are being transformed, metamorphosed, into His same image from one radiance of glory to another, just as the Spirit of the Lord accomplishes it. As we progress in our journey we’ll consider spiritual formation as the process of becoming more like Christ – lives transformed into something better than the life we started with. Richard Rohr, in his book Falling Upward, A Spirituality for the The Two Halves of Life, notes that Scott Peck once told him…”…he felt most Western people were just spiritually lazy. And when we’re lazy, we stay on the path we already are.” While studying under Roberta Bondi, at Emory University’s Candler School of Theology, she once said, “the hardest part of prayer is just showing up.” which she echoed in her book, To Love as God Loves. So as we move forward on this journey, know that the hardest part of spiritual formation may be just showing up! In future posts we’ll be exploring prayer, the spiritual disciplines, monastic asceticism, christian perfection, and so much more! When all is said and done I hope to have given you the tools to help you transform your life into something more like Christ’s life, no matter what spectrum you may be presently on in your journey. 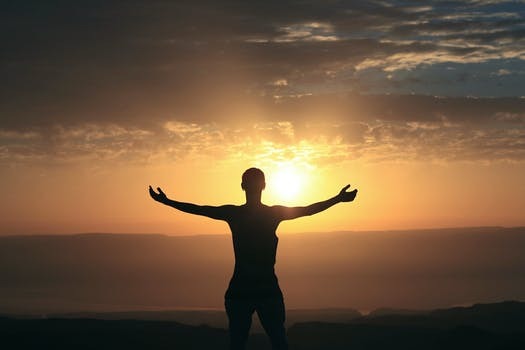 Or as scripture states, reflect the glory of the Lord as if we are mirrors; and so we are being transformed, metamorphosed, into His same image from one radiance of glory to another, just as the Spirit of the Lord accomplishes it. What have you done lately to grow spiritually in your Christian faith? Seriously, something intentional. Something past just phoning it in. It’s my opinion that many protestants don’t seek an intentional Spiritual Formation path. This is based on what I’ve observed as a minister for over 25 years. So I’ve decided to write a series on Spiritual Formation in hopes of stirring something in your heart. Something that inspires you to seek Jesus in new and proven ways. Spiritual practices that could have an incredible impact on your spiritual life. While one can grow spiritually in worship and through the message on Sunday, this series will be about other time proven Spiritual Formation practices that have been around a long time but maybe not practiced as much as they once were by early Christians. So I’ll leave you with a question: What are you intentionally doing to grow in your spiritual life? Something that is seriously drawing you closer to Jesus? Are you depending just on Worship and the message – which are great, and continue to do so! Corporate worship is uber important – Remember the Sabbath – it’s one of the 10 Commandments. But in addition to that, are you passionately seeking spiritual practices in addition to Sunday that creates a deep love for Christ? I’ve always been amazed at what people have been able to accomplish in their lifetime. I enjoy reading about people that have done a lot of crazy things in search of adventure. I loved the movie the Secret Life of Walter Mitty. So in light of this, I decided to write down all the crazy things that I’ve been able to do – so far in my life. I would encourage you to do the same because you probably have lived an awesome life that others might enjoy reading about! Registered myself for the first grade without my parents knowledge – walked to the school and went to the office to register – who does that? Non-christian concerts that I’ve attended – Styx, KISS (in the early days),Commodores with Lionel Richie, Doobie Brothers, Elton John, Bob Dylan, Elvis – yup, Elvis! Had throat cancer but survived – at least as of this day! I’m sure there is a ton I’ve missed. But I have tried to take John 10:10 seriously when Jesus said I have come so you can live the abundant life. Accepting Christ was the greatest thing I’ve ever done. Getting married and raising kids has been the second greatest thing I’ve ever done. Take time at some point and write down all you’ve been able to accomplish, you might be surprised at how good a life God has given you. As a bonus others might be interested in reading it – I know I would. Time management is usually an “on point” topic for everyone. It’s one of those skills that many strive to master. It’s one that those who always joke about being late all the time (BTW, it’s sad if being late is what you’re known for – and it’s rude to others that are waiting on you, and often disruptive to the group function you’re going to), secretly desire, or should be embarrassed if they don’t. Sure, there are going to be those days that we just get behind. Yes, we will never be “on time” for everything in life. 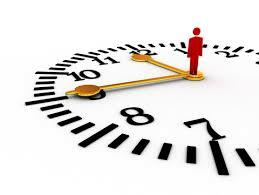 The question is, are we striving to become better at time management? Do we realize the incredible benefits of it? Becoming a better time manager is always a skill worth mastering as best as you can. Now that you’re saving time you can get that workout in you’ve been meaning to do! Recently I found myself in Colorado on vacation. 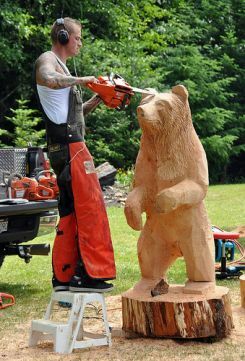 While visiting one of the mountain towns I noticed a man who had cut bears out of raw wood – with a chainsaw! I’ve always been fascinated by those that have such skills. Not long ago one of my daughters asked a man cutting bears from raw wood how he did it…. He responded that it’s easy, I just look at a piece of wood and cut off everything that doesn’t look like a bear! When it comes to living a life that matters I believe that the same philosophy applies… Take a look at your life and cutoff everything that isn’t adding value. Leaving a life that matters. Life is too short not to be living a life that matters. Are you allowing distractions to impede the bigger issues of life? Are small things tripping you up? Are you taking your eye off what’s really important? Are you getting caught up in the fray of life? 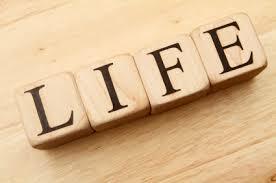 Or, are you living a life that matters? Less Knowledge – More Motivation! Last Sunday at the church I serve, our worship leader brought the message. It was a very inspiring message encouraging everyone to accept responsibility for growing the church and the kingdom of God for all the right reasons. We were encouraged to take action, accept responsibility, for growing disciples. We were then reminded that we were responsible for the souls (not numbers) that should be in the empty seats in our worship space. We were reminded of the importance of the invitation to others to attend worship – as they were God’s children (my interpretation) and were important to God. But when all was said and done I had a problem with the message. A huge problem with what was said. But not by our worship leader but with those of us saying amen and nodding in agreement to what he was saying – and rightly so – it was an inspiring message. Yes, I too was nodding and saying amen! So what was the problem? The problem was what has become an inherent problem, in my opinion, throughout the Christian church and Christianity in general… Was all the head nodding and amening the only action that would take place as a result of the inspiring message? Or, would there actually be anyone to take the message to heart and with the love of Christ actually invite anyone to worship this week and next and the next? Will anyone actually step up on behalf of Jesus and care for his sheep? You see, the Christian church doesn’t lack knowledge. The majority of everyone present on that Sunday had heard the message before, from Jesus, from other ministers, and in other churches. What our worship leader did was to remind us that Jesus is still calling us to reach others and invite them to church. I recently heard someone say that most people already have plenty of knowledge but lack motivation. People wanting to get into better shape know how to do it, they have the knowledge but lack the motivation. If that weren’t true we’d all be rich and skinny. We all have the knowledge to do both but most are out of shape and would like more money because we lack the motivation to do anything about it. So what will it take to motivate you to take what you hear on Sunday morning and go beyond the action of amening and nodding to the action of invitation and growing the kingdom of God? My motivation is that Christ died for me and doesn’t want to see anyone not living the abundant life that only he can provide. A message shared every Sunday in worship. A message shared to to many empty seats throughout the world. So I decided to move past the amening and nodding and I’ve already invited several to be in worship this Sunday. Have you? At the time of this post hurricane Harvey has invaded Houston, Texas. Houston just happens to be the home of Lakewood Church, whose minister is Joel Osteen – maybe you’ve heard of him! The internet is exploding on Joel Osteen saying Lakewood lied about being flooded and therefore weren’t letting any of the many homeless find shelter there – Lakewood holds around 13,000 people each Sunday. Internet haters had a field day on Joel’s alleged hypocrisy. Apparently this high profile minister had let them down. First, I do not know the man. Secondly, I don’t know the church. Thirdly, I don’t know the real situation other than what I read and hear through news and the internet. If you have been living under a rock lately – spoiler alert – there have been recent accounts of less than true news. I know, hard to believe – right. So ultimately I don’t have an opinion on Joel Osteen and Lakewood church. 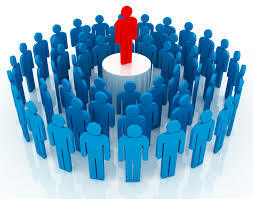 I don’t put people on pedestals, as people will always let you down at some point. I certainly don’t allow it to crush my faith when someone lets me down. As my faith is built on God the Father, God the Son and God the Holy Spirit and not people. So if anyone has ever hurt you so much, that you felt your faith was damaged, please realize your faith shouldn’t be built on that person or that event. God is still on the throne and His word is still true even when people let us down in big ways. Make sure our focus is on Christ and not people. Technically, I suppose you could just go through the motions as a mother or father, and it would be considered parenting. But, not necessarily good parenting. I leave the definition of “good or bad parenting” to you. So what I’m about to write are just my musings about parenting, as a parent. You can agree, disagree or be indifferent. I just hope you’ll take an inventory of your own parenting style. I hope you’ll think about areas in which you might enhance your own parenting style. I’ll do this in a list fashion but in no certain order… I will also refrain from saying thinks like “I believe” or, “in my opinion” every time, and just preface it with the fact that this should be understood – in other words this is just my take and nothing else – no science or studies are involved. Some of my thoughts may inspire you to say things like, “What a prude”, and that’s fine, form your own opinion. 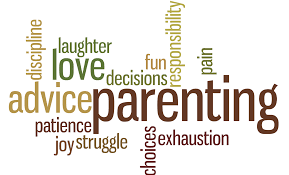 A parent’s job is to teach their children what they need to know so one day they can leave. A lot of “right decisions” are going to make you feel terrible for some odd reason – they shouldn’t! It’s OK to say no if you have nothing more than a “gut feeling” that something just doesn’t seem right. Take your kids to church – they are depending on you and so is Jesus. Your children are God’s gift to you, so give thanks often. Teach your young men to open doors for ladies. If you’re a dad – model that behavior yourself. Teach your kids to say “yes sir, yes mam and no mam and no sir”. Maybe seems old fashioned but I believe it’s timeless. Teach your kids to say “thank you” and to say it liberally. Tell your kids “thank you” often. Tell your kids “I love you” often and don’t take for granted that they know that. Don’t ask your kids if they want to go to church – remember that you’re the parent. Lead like one. If there is an age level appropriate program for your children on Sunday mornings in church – make sure they attend it. They’ll learn more there. Teach your children to make their bed as soon as they are old enough and have them do it – everyday. Teach your children to cook and clean. Have them learn how to change a tire and check the oil. Teach them to tie a tie. If you say something will happen the next time they act that way – follow through. Spend quality time with your children – they grow up fast. Make sure they learn to eat vegetables – boiled okra and raw celery excluded. Teach them how to wash and fold clothes. Have your sons mow the lawn as soon as they are old enough. Once they are old enough, make sure they have jobs, at least in summer and part time the rest of the year, when possible. Teach them the Apostles Creed and the Lord’s Prayer, so they will always be grounded in their faith. Teach them how to wash/dry dishes by hand. Make sure you know they have completed their homework. Make sure they are ready for school – the night before and early enough that corrections can be made without being up too late. Don’t take something your child has done wrong that belongs on the value menu and then supersize the discipline. When your child does something wrong, try asking yourself – will this make any difference a year from now and discipline accordingly. Be careful when allowing your child to be in so many extracurricular activities that it effects the family, finances, grades and church attendance. Explore the possibility of learning a musical instrument early. If you’re married, make sure you tell your spouse “thank you, I love you”, etc – your children are watching. Take your family on vacations – they don’t have to be extravagant. Love = Time- spend time with your kids. They will never forget it, and neither will you. Don’t scream at your kids – remember they are God’s gift to you. So, Discipline them appropriately. Teach them how to polish their shoes. Teach them what matches when it comes to clothes. It’s OK to tell them that certain clothes may not be appropriate for them – goes for guys and gals. Teach your boys to be gentlemen. Teach your daughters to be ladies. Did I mention, take them to church, say I love you a lot, model the behavior you want them to copy? Teach them to keep their rooms clean. Keeping yours clean will go a long ways. Agree, disagree, or be indifferent, but maybe just one on the list may resonate and create action. These are my 44 thoughts – for now.